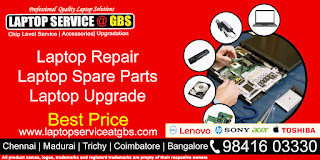 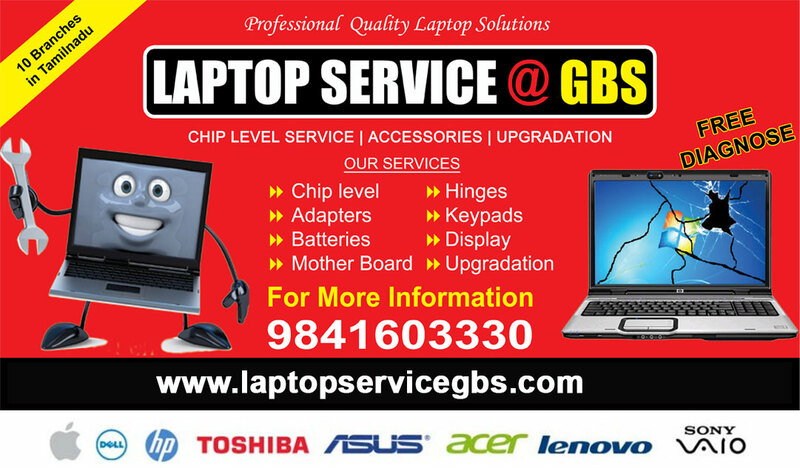 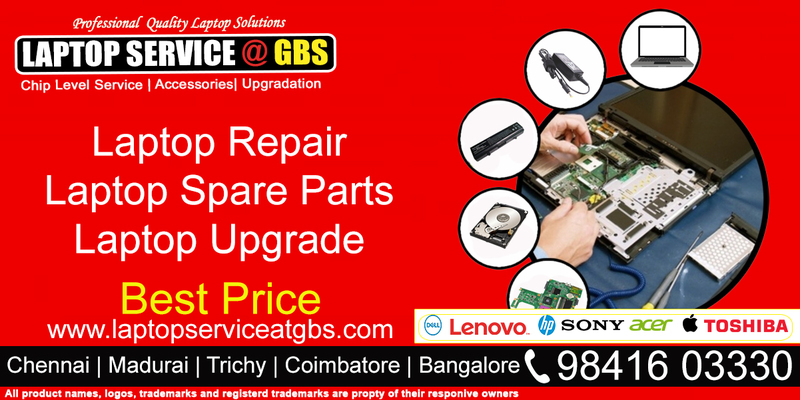 GBS Systems is provide best Laptop Service in Chennai - Support all model laptop repair services and sell genuine laptop spare parts at lowest price with quality. 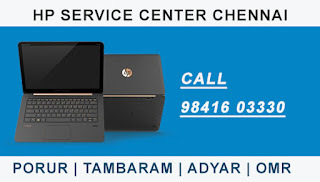 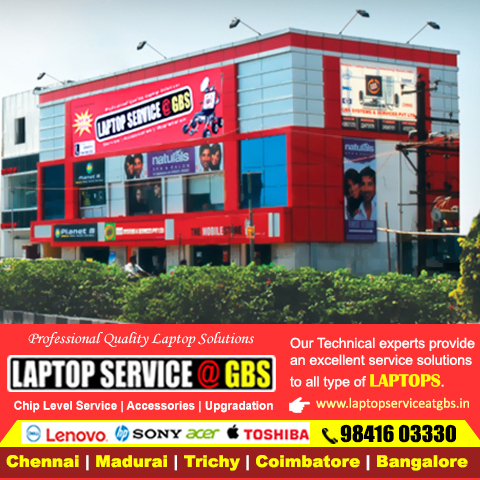 Best Laptop Service Center in Tambaram. 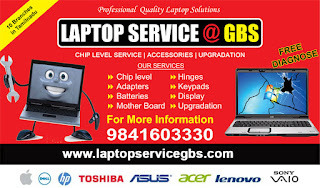 We offered 10% discount on Laptop Service and Repair. 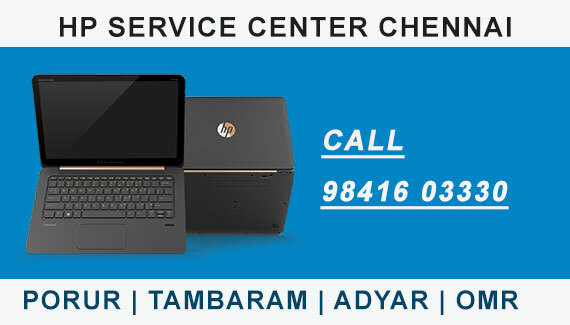 Call 9841603330. Multi Brand Laptop Service Center Chennai - Our Laptop Service GBS branches located at 10 places in Chennai.